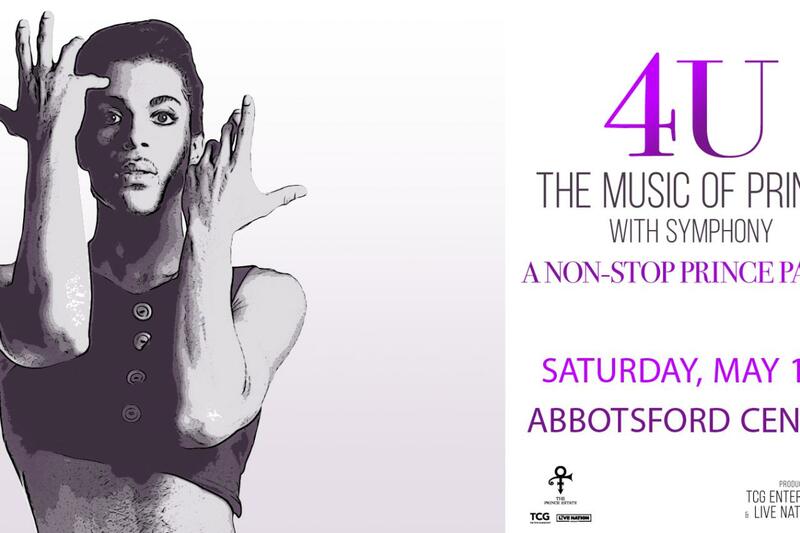 Live Nation Urban and TCG Entertainment announced that their new production “4U: The Music of Prince with Symphony” will come to the Abbotsford Centre on May 18, 2019. Tickets go on sale this Friday, March 22 at 10am. 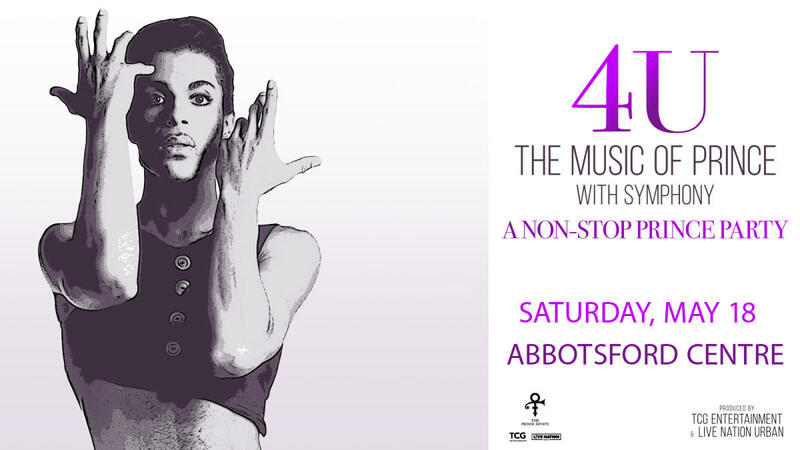 The show in Abbotsford is part of a two-week tour with shows in western United States.